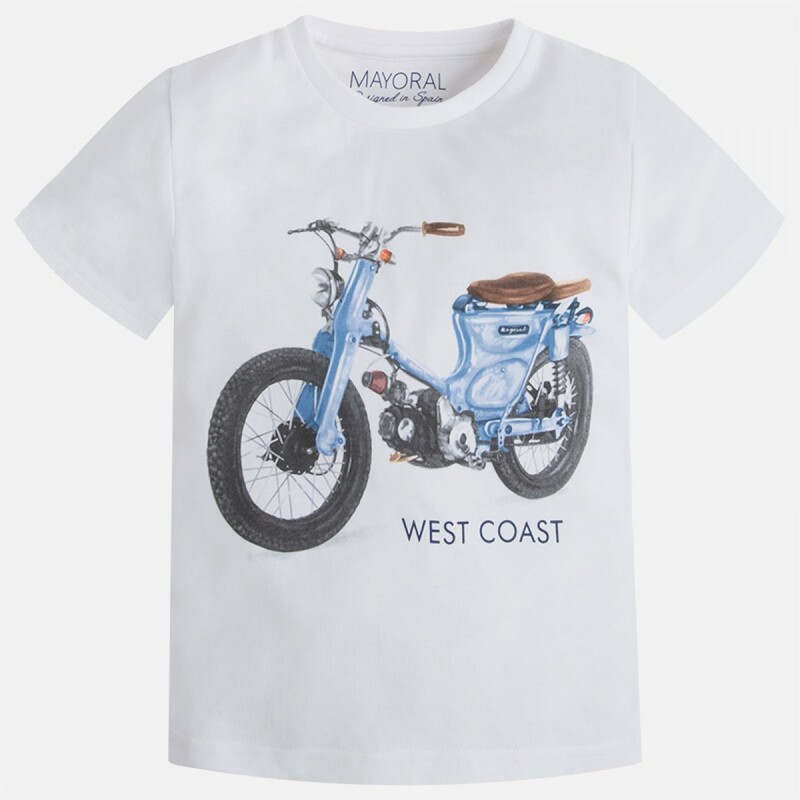 Little bikers are going to adore this fantastic t-shirt from Mayoral. In a cool summer white, the shirt has a brightly coloured vintage motorbike design on the front. Smart, stylish and perfect for the warm weather, it's a classic piece that will make any Easy Rider look amazing! We were immediately drawn to this great design - the motorbike design gives it real style and edge. It's perfect for layering under a jacket or coat and jeans in the winter or just on its own on the warmer days, and the great combination of colours means it can be matched with almost everything! Made in lightweight cotton jersey, your little man can stay cool while being cool! Washing instructions: wash at 30 degrees, do not bleach, tumble dry, cool iron only.